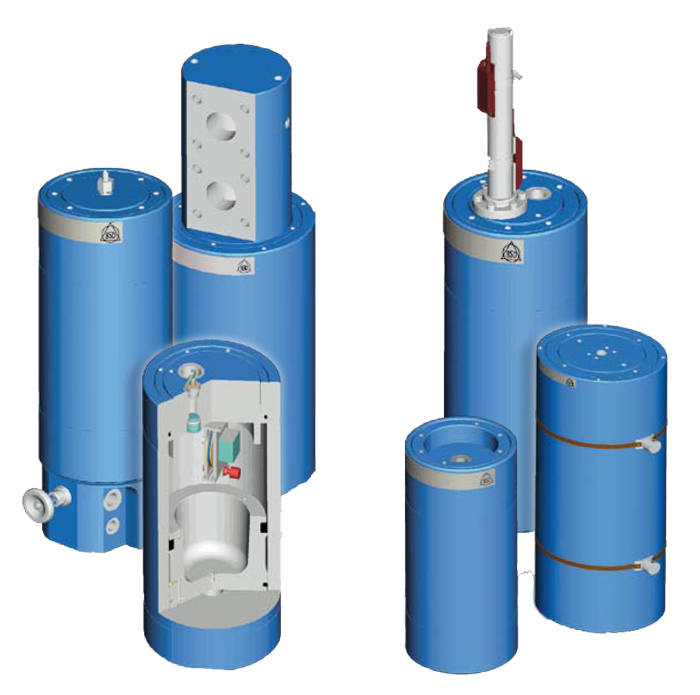 As part of the KAK and AK production series,BOLENZ & SCHÄFER’s pressure vessels are made for the European market. 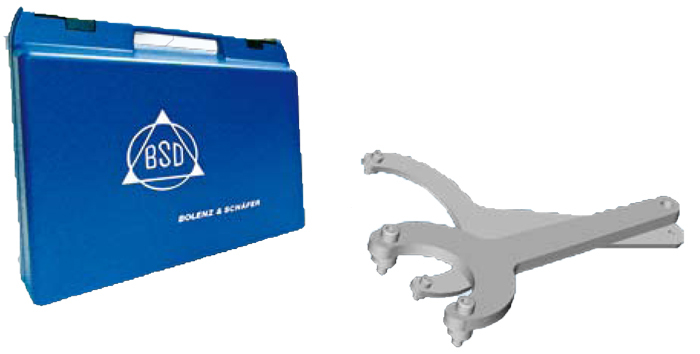 They are inspected and approved according to the directive “Druckgeräterichtlinie DGRL 97/23/EG”. Openings are closed before transport, bright connection flats are greased and protected against mechanical damage as far as necessary. 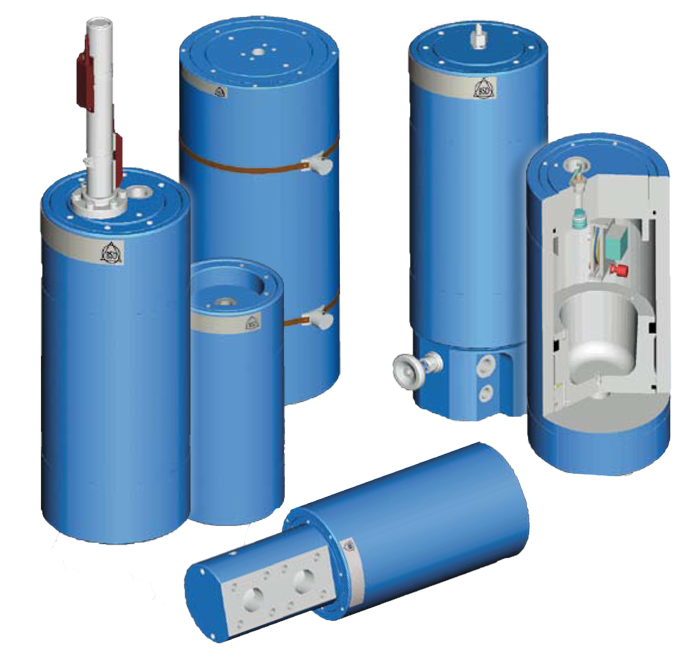 BSD piston accumulators are suitable for storing hydraulic energy, absorbing pressure shocks, pulstion damping and compensating for flow fluctuation through compression of nitrogen. The electrical limit switch device consists of a non-magnetic casing, a switch rod with a set of permanent magnets, 1 break contact limit switch (NCC) and/or 1 close contact limit switch (NOC). 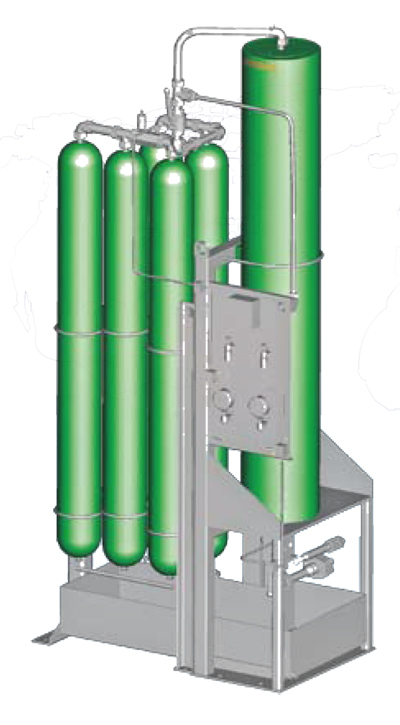 The limit switch unit, and its seal is installed on the end of the accumulator. 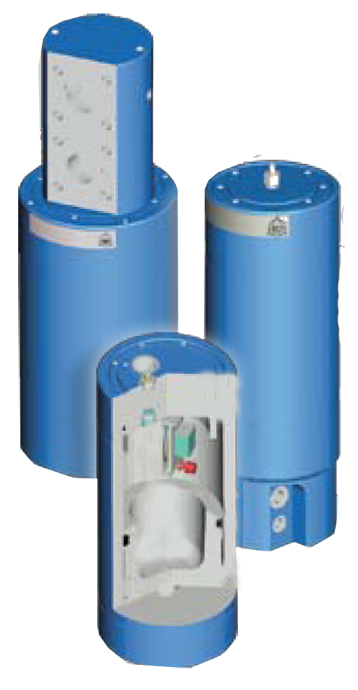 of BSD piston accumulators become most effective when operated in conjunction with auxiliary gas bottles. 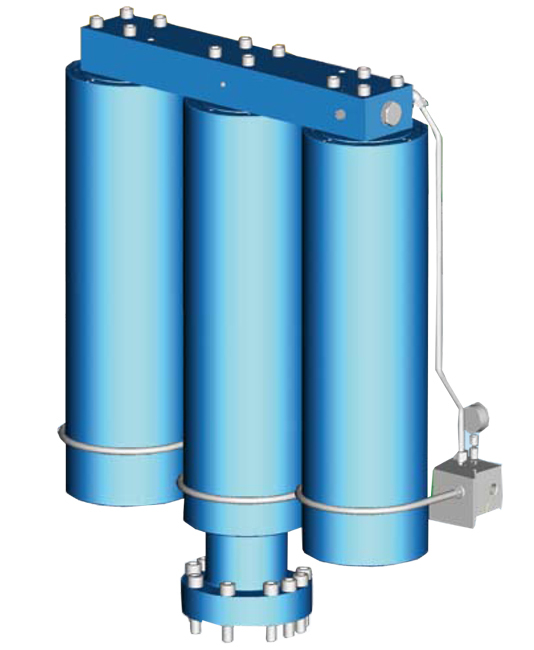 The size and number of the required accumulators are determined by the individual requirement.